In Branson's newest show "50 Years of Kenny Rogers" Brother South, Heather Gentry and the Band of Gamblers will take you through the decades of music that Kenny Rogers made famous with songs like Lucille, The Gambler and Islands in the Stream. "ABBA Tribute - Thank You for the Music" in Branson is a dynamic tribute to this pop super-group from Sweden. It's an exciting, modern interpretation of timeless ABBA classics, as well as musical arrangements that pay tribute to ABBA's original sound. Branson's "Absolutely Country, Definitely Gospel" is a glorious journey through some of country and gospel music's best, complimented by a delicious lunch! Join Faith's Journey as they send your spirits soaring and warm your heart and soul. From high atop the first 70-foot tower, guests can take in a breathtaking view of the Ozark Mountains before zipping on to the rest of their adventure. You don't have to leave Branson to enjoy the wildlife, or the great views. When "Alabama Rolls On Tribute" takes the Branson stage, you immediately know you're in for a rockin' evening! These hot tribute artists will share songs like Born Country, Dixieland Delight, Love in the First Degree, Forty Hour Week, and Mountain Music. "All Crazy ‘bout Patsy" is a 90 minute show with no intermission dedicated to the music of Patsy Cline and other country legends. Over 15 of Patsy's hits are featured in this production by Alice Fay, a long time Branson performer. "All Hands On Deck!" gets ALL members of the Branson audience up on their feet! A road show/radio broadcast style production - tight harmonies, impromptu skits, and classic commercials - it pays homage to our proudly patriotic nation of the 1940's. "Amazing Acrobats of Shanghai" - when it comes to live excitement, this show sets the standard! You'll see feats so phenomenal; you won't believe your eyes! No Branson visit is complete without the "Amazing Acrobats of Shanghai!" Branson's "Amazing Pets" features delightful circus-like acts with an impressive cast of creatures! Cats, canines, and even exotic birds put on a show sure to delight kids of all ages! A bit of magic, a touch of mayhem, and a whole lot of furry frivolity! Branson's most popular Christmas show is back in 2019! For our 27th season, the legacy continues, starring The Lennon Sisters every show and hosted by Jimmy Osmond on select dates. Great variety, singers, dancers, and the Moon River Orchestra! Branson's Tribute Theater is excited to add to its lineup of Great shows this year, "ARETHA a tribute to the QUEEN OF SOUL." This new show it's going to knock your socks off with the soulful vocals of Branson's own, Nedgra Culp. We are proud to bring you our new production A Shepherd's Christmas Carol. We invite you to enjoy a full course turkey dinner with pumpkin dessert while we present our version of a true Christmas classic. Branson's "A Tribute to George Strait Dinner Show" treats you to wonderful music...and dinner, too! The dynamic duo of Gordy Wensel and Debby Kaye, serve up Strait's songs and the music of top female artists who've opened for George on tour. "A Tribute to John Denver" and Country Music Legends brings you a one-of-a-kind Branson tribute show! Hear John Denver's hits from good friend, James Garrett, including Rocky Mountain High as well as stories and personal recollections. Branson's "A Tribute to Marty Robbins" honors the music and memory of a country music icon, expertly delivered by the phenomenal Leroy New! Enjoy Robbins' hits like El Paso and the music of other legends like Johnny Cash, Chet Atkins, and Hank Williams. "Beach Boys California Dreamin'" in Branson takes you on a musical journey to the West Coast and the folk renaissance era. A dynamic cast shares Beach Boys' hits and the songs of artists like The Mamas and The Papas; Peter, Paul, & Mary, and more! The "Best of Neil Sedaka & Friends Variety Show" is an unforgettable Branson show experience! Hear songs like Calendar Girl and We've Only Just Begun with surprise special guests paying tribute to an astonishing musical legacy. Billy Yates' Hit Songwriters in the Round brings Nashville to Branson each week with two different hit songwriters joining host, Grammy-nominated singer/songwriter, Billy Yates, on stage as they perform the hits they've written. The Petersens are an award-winning bluegrass band in their eighth season of shows at the Little Opry Theatre in the Branson IMAX Entertainment Complex. "Branson Country USA" is the show custom-made for anyone looking for a fabulous Friday night out! The talented cast of performers can't be beat! This incredible show features special guest stars, and it's also broadcast nationwide on TV and radio. Branson Murder Mystery presents "Murder on the 76 Trail," and gives Branson a hilariously live dinner theater experience! "Murder on the 76 Trail," takes place in Branson somewhere around 1898. "Branson Scenic Railway" let's you enjoy a scenic ride or a four-course candlelight dinner excursion, departing from the historic 1905 depot in downtown Branson. There's no other attraction that lets you step back in time in quite the same way! The "Branson Hills Golf Club" is an exceptional 18-hole public course named the best you can play in Missouri by Golfweek four straight years. It incorporates the interesting natural landscape, presenting the perfect challenge for all golfers. Branson Comedy Company, innovative and engaging fun for everyone! It's not just a show, it's an experience! Branson Music Festival 2019 is the highlight of Ozark Mountain Springtime in Branson. This special, two day event is jam packed with all of the music and talent that makes Branson so magical. "Branson's Famous Baldknobbers" - it's been more than fifty years, and Branson's first music show is still bringing great music and big laughs to audiences of all ages! Country hits and hilarious comedy hijinks are brought to you by the Mabe family! "Branson's Gift of Lights" is fun for all ages and makes a great family outing that is sure to light up your holiday season. "Branson Zipline" at Wolfe Creek Preserve, just minutes north of Branson, offers visitors off all ages world-class fun that includes, breathtaking canopy tours, an educational guided photo walking tour and a jaw-dropping 100 foot freefall! "Breakfast with Neil Sedaka" is an unforgettable Branson show experience! Hear songs like Calendar Girl and We've Only Just Begun, as well as hits from your favorite artists The Carpenter's and Captain & Tennille. "The Bretts" deliver their popular Branson show with amazing chemistry and sensational harmony! If you enjoy original compositions and music from artists like Elvis, ABBA, the Bee Gee's, and Pharrell Williams, then you're gonna love "The Bretts Show!" "George Dyer" is a brilliant and accomplished tenor who sings your favorite Broadway hits, beautiful and familiar arias from beloved operas, big ballads you love; and much more! His talented wife and live band help make this an exceptional show! "Broadway's Greatest Hits" is the smash hit that brings you fabulous, exciting highlights of the greatest Broadway musicals of the last 50 years from shows like Phantom of the Opera, Wicked, Les Miserables, Hairspray, and Cats. "Buckets N Boards Comedy Percussion Show" delivers Branson entertainment that easily stands out in a long list of excellent shows! Enjoy slightly wacky skills that include precise percussion, delightfully silly songs, tap dancing, and lots of laughter! Branson's "Butterfly Palace & Rainforest Adventure" is a spectacular interactive attraction that brings Mother Nature's jungle environment up close for all to enjoy! Explore the Butterfly Aviary, Emerald Forest Mirror Maze, and other unique areas. In "Cash Alive" Paul Eve, as Johnny Cash, brings this American music icon to life in a stunning performance and authentic portrayal, creating a powerful concert of the music and songs Johnny immortalized. "Christmas Wonderland" in Branson reminds us all that Christmas is the most magical time of year! Enjoy everything festive about your favorite holiday, and hear the songs you love, including Silent Night, Happy Holidays, and O Come All Ye Faithful. C.J. Newsom's Classic Country Classic & Comedy, formerly Patsy Cline & Friends, stars critically-acclaimed vocalist, C.J. Newsom and the Re-Cliners Band with five-time comedian of the year, Terry Wayne Sanders. Clay started performing in Branson at the age of 16 and now celebrates his 33rd season in Branson doing what he loves at his own theatre! His unbelievable talent, hysterical comedy and down-home personality bring the audience back time and time again. Branson's "Comedy Hypnosis Dinner Show" serves up entertainment that's both outrageously funny and incredibly intriguing! Jecobie Roberts happily invites you to let go and let her guide you, or to enjoy the hysterical antics from the sidelines. Branson's "Comedy Jamboree" is an electrifying extravaganza of music and mayhem! With a cast of lovable and eclectic comedic characters and talented musical artists, this is the high-spirited, clean-humored show you'll bring the whole family to see! "Conway Remembered" is the incredible Branson show that brings to life the music of the late and legendary, Conway Twitty. Skillfully delivered by tribute artist, Mike Walker, you'll hear Conway favorites like Hello Darlin' and I May Never Get to Heaven. 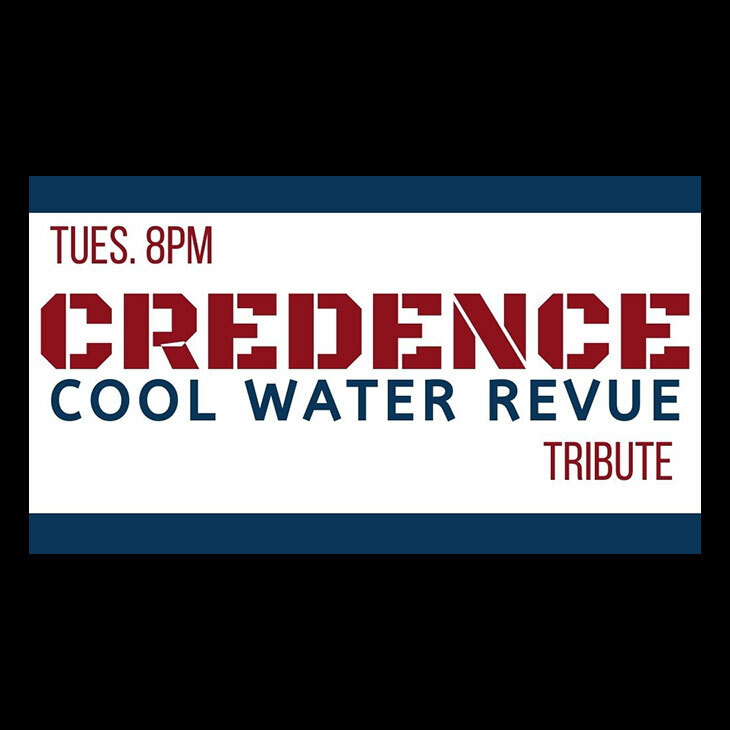 "Creedence Clearwater Revival Tribute" shares that wonderful music with the delightful southern folk-rock sound that keeps you singin', dancin', and groovin' along! Their Branson show includes songs like Who'll Stop the Rain, Proud Mary, and Suzie Q. This will be a mix of her greatest hits such as "Don't It Make My Brown Eyes Blue," "Talking In Your Sleep," "Why Have You Left The One You Left Me For," "When I Dream," "Half The Way" and many more, plus many Christmas favorites. "Dailey & Vincent" create bluegrass heaven in Branson! They've scored dozens of industry awards with their bluegrass, classic country, folk, and gospel music, and they'll appear on select dates in November 2019. Daniel will be bringing his "Christmas With Daniel" stage show to the Welk Resort Theater for 18 afternoon shows, all at 2:00 pm. Darryl Worley's song "Have You Forgotten" was #1 for seven weeks because of its powerful lyrics. Joining Darryl on stage for this 2019 show is hit singer/songwriter Billy Dean. Featuring the Pierce Arrow quartet and 2017 Comedian of the Year James Sibley, comes the brand new production Decades. Take a one-of-a-kind musical and comedy journey through the 50's,60's,70's,and 80's with the show Pierce Arrow. Thirty years ago, Dino and Cheryl Kartsonakis produced and starred in their first Christmas show in Branson, Missouri. Dino and Cheryl are returning for a very exclusive Christmas engagement at the historic Shepherd of the Hills' Playhouse Theatre. Dolly Parton's Stampede is the perfect family destination in Branson for exciting entertainment and a fantastic, hope-you're-hungry, four-course feast! Arrive early for the new pre-show, The White River Wranglers in the Carriage Room. Dolly is known as the Sweetheart of Country Music, so who better to pay tribute to her life than the award winning "Sweethearts of Branson", Denny Yeary & Shelia Renee, voted Branson's Duo of the Year in 2018. "Doo Wop & the Drifters" is a 2 hour show with a 10 minute intermission comprised of the harmony hits of the 50's & 60's. "Doug Gabriel's #1 Hits Tribute Show" is everything the name implies and so much more! One of Branson's longest running and most successful entertainers, "Doug Gabriel" gives you everything he's got on songs that everyone knows and loves! "Down Home Country" is country music at its downright best! And these immensely talented singers and pickers give you a taste of gospel, bluegrass, and western swing as well. Add a little good, clean comedy and you've got the Branson show of shows! Dublin's Irish Tenors & The Celtic Ladies. This group of Ireland's finest tenors & it's loveliest ladies mix traditional Irish tunes, opera, pop, swing & classical in a show for all ages! "The Duttons" put the 'entertainment' in family-friendly, Branson entertainment! They blasted onto the national stage when they placed in the top ten on America's Got Talent, and they're one of Branson's most enduring and powerful shows! The "Eagles Tribute Concert" - Take It to the Limit, lets Branson audiences enjoy the music of their favorite band; all those amazing songs that peppered the charts in the 70's, including several Top Ten hits and five that grabbed the #1 spot. In "Everly Brothers Reminisce" the guys will take you back to the early rock and roll era with memorable hits from Don and Phil Everly. Branson duo Shane and Dave replicate the Everly harmonies, combined with an outstanding group of musicians. Free-spirited Fleetwood Mac is undoubtedly the most iconic soft rock group of the 70s. This sophisticated vocal and percussive group, with their lavish bohemian soft-pop harmonies, sold millions of records throughout the world. At "Fritz's Adventure" the whole family can experience 80,000 square feet of hands-on climbing, tunneling, sliding, and zip-lining thrills along with a restaurant featuring healthy menu choices overlooking the indoor adventure park. This truly is a "60s Supershow" with the original voices of the biggest songs of the decade. One of the most masterful voices in Country Music today, Gene Watson still sings in the same key as 30 years ago and continues to prove why he is rightly referred to as "The Singer's Singer." George Jones and Friends "Keeping Country Alive"
"George Jones and Friends" honors one of country music's most beloved entertainers. First-time headliner, George Geisser, delivers big Jones hits like I Don't Need Your Rockin' Chair, as well as the hits of other country legends. "George Strait Country"...for classic country performed by James Garrett, the contagiously catchy sounds of bluegrass and gospel, and musical artistry from some of Branson's greatest band members, this is the marvelous music experience for you! The Glen Campbell Songbook, starring Grammy award winner, James Garrett, features hit music of the Rhinestone cowboy, the extraordinary Glen Campbell! Get your tickets today! Branson's "Golden Sounds of The Platters" will fill you with musical memories of the fabulous 50's and early 60's with songs like Twilight Time, Smoke Gets in Your Eyes, and Only You. Get a touch of Doo Wop and Motown, too! With "Grand Jubilee," all the key ingredients are there in abundance...great vocalists, masterful musicians, comic geniuses, and unforgettable family-friendly fun...get your seats reserved now for a live Branson show of grand proportions! At "Hamners' Unbelievable Variety" show, you'll be treated to a sensational array of Branson entertainment! Master magicians, Dave & Denise Hamner, perform illusions and present singers, dancers, acrobalancers, and a singing impressionist. Branson's "Hank Williams Revisited" lets you revisit the timeless music of Williams as only a talented Nashville recording artist can bring you! Tim Hadler sings Hank's biggest hits, including Your Cheatin' Heart; and I'm So Lonesome I Could Cry. New show for 2019! It's "The Haygoods" and it's an amazing Branson experience! Not your run-of-the-mill family show, these accomplished entertainers - who just happen to be siblings! "Hot Rods & High Heels" lets Branson celebrate the 50's with singing and dancing from an incredible cast! Our hearts still long for that era; and there's so much to love. Relive it...discover it! The Hughes Brothers Christmas Show has become a holiday favorite among scores of dazzling Branson productions! Featuring not only the popular Hughes boys, but their children and spouses, all backed up by a brilliantly talented live band. "Hughes Music Show" fills the Branson stage...literally! More than 50 members of the Hughes clan employ a wide array of musical gifts; hot dance moves, exceptional instrumental skill, and impeccable harmonies. Branson's Tribute Theatre is proud to announce an all-new show called "ICONS OF ENGLAND," featuring the sweet, soulful music of two of the biggest solo acts to call the United Kingdom home, JOE COCKER & ADELE! "Illusionist Rick Thomas"...graceful, athletic, mysterious, and oh so magical! This world travelling, world class artist of enchantment begs the question ...is it just an illusion...or is it truly magic? Find the answer with "Illusionist Rick Thomas!" Mick Jagger and The Rolling Stones, regarded as the Greatest Rock and Roll Band in The World, and have sold over 250 million albums worldwide in their career spanning over 50 years. In the all new "Janice Martin Cirque Show," Janice Martin captivates as the world's only aerial acrobatic violinist performing jaw-dropping feats high in the air - while masterfully astonishing audiences with her amazing violin playing. "Jerry Presley "Elvis Live!"" is the Branson tribute that can't be missed! Cousin to the world's most famous singer, Jerry pays homage to Elvis as only family can. Choose from two different concert tributes, or a show featuring the gospel Elvis loved. Jim Breuer came to national attention during his seasons on Saturday Night Live (1995-98) whose cast also featured Will Ferrell, David Spade and Norm McDonald. For one night only, September 22, 2019, you can see Jim Breuer. Legendary singer, Johnny Mathis, celebrating his 63rd year as a recording artist, returns to Branson, MO for the first in many years to perform his greatest Christmas hits and personal favorites at the Mansion Theater. Get ready for an exception evening of music that covers more genres than we could name, including: classical favorites, fiddling, vocal hits, ragtime, patriotic, gospel, and Irish. "The Johnson Strings" is of a one-of-a-kind Branson show! Back By Popular Demand! Don't Stop Believin' is a dynamic tribute to the Arena Rock Band JOURNEY. Journey has one of America's musical slots as being a musical wonder of Rock Hits that spans for decades past its' prime. "Larry Gatlin & The Gatlin Brothers" perform their legendary country/pop hits in Branson! Top 40 hits by this talented trio of brothers include All the Gold in California, She Used to be Somebody's Baby, and Houston (Means I'm One Day Closer to You). With sincerity, honesty and an utter ease on stage that belies their years, their smooth vocal blend and skillful musicianship layer infectiously into the deep respect they pay to legends who have paved the way. Untouched by the harsh glare of fame, Mo Pitney retains an "aw-shucks" charm. Pitney may still be more fan than star, but his gentle, easy-going phrasing and unpretentious lyrics bring the glitzed-out country scene a breath of crisp air. Famous for being a singer's singer, Branson is thrilled to have "Gene Watson" appearing at Larry's Country Diner! His hit songs include Love In The Hot Afternoon and Any Which Way. Do yourself a favor and catch "Jimmy Fortune Appearing at Larry's Country Diner" in Branson, Missouri...just another great reason to visit one of the top vacation destinations in the country! It's "Rhonda Vincent Appearing at Larry's Country Diner" in Branson! She's racked up six Grammy nominations, several IBMA awards, and grabbed the number one spot on the charts with her albums Only Me, Taken, and Sunday Mornin' Singin' Live. On November 10, Lee will perform his long list of hit songs including "God Bless the USA," "Inside Out," "Dixie Road," "Ring On Her Finger, Time On Her Hands," and many more. December 5 will be Christmas music plus his signature song "God Bless The USA." Country Music legend Lee Greenwood performs a special Branson show for Christmas, one night only on December 4th. The night will be entirely Christmas music, with one exception: Lee will also perform his patriotic anthem, "God Bless The U.S.A."
"Legends in Concert," Branson's premier tribute show, features an amazing cast of all-star entertainers! Tribute shows are everywhere these days; only "Legends In Concert" pays loving tribute to such absolute perfection! "Liverpool Legends" recreates the entire Beatles experience in Branson; the sound, the personality, and that beautiful mop of hair! Talented artists, chosen by George's sister, honor the legacy of the world's most famous band! "Magnificent Seven" is the Branson show that has it all...dancing, singing, comedy, and outstanding music from the 40's through today, it's one magnificent show! All wrapped up in 75 production numbers with an incredible 200 costume changes! "Main Street Lake Cruises' Landing Princess" offers Branson's only luxury cruise on beautiful Lake Taneycomo! This captivating dinner cruise takes place aboard a 100-foot yacht with a cash bar, 2 full-sized restrooms, and glass-enclosed decks. "Main Street Lake Cruises' Lake Queen" is the perfect way to enjoy the lake in Branson! It has a climate-controlled lower deck, an open-air upper deck, and restrooms, and the captain talks about the lake, landmarks, and wildlife during your lunch cruise. "Mickey Gilley" and "Johnny Lee" are teaming up in Branson for "The Urban Cowboy Reunion." Two Country Music Legends, one incredible show you won't want to miss! "Mike Walker Lasting Impressions" proves that there's nothing more entertaining than a gifted impersonator! An incredibly talented mimic, Walker brings his repertoire of more than fifty celebrities to one Branson stage, including Willie Nelson and Elvis. BACK FOR A SMASH-HIT FIFTH SEASON! Returning in 2019, after another fan-raving season, the Welk Resort Theatre is proud to present MILLION DOLLAR QUARTET, an incredible music experience! Rejoice with your whole family as the true meaning of Christmas unfolds right before your eyes with the "Miracle of Christmas" in Branson, Missouri! Special Behind the Scenes Tour. Please arrive at 12:30 pm begins at 1:00 pm. Tour lasts 1 hour. Behind the Scenes pass available with purchase of regular season ticket. "Moe Bandy & Joe Stampley," one of country's favorite duos hits Branson for one-night-only! Enjoy big songs from each artist, like Americana and I'm Still Loving You, and their hits as a duo, including Just Good Ole Boys! "Motown Downtown" brings Branson the sound that put Detroit music on the map! Hear big hits from Motown artists like The Temptations and Marvin Gaye, as well as favorites from other pop and soul artists from the first three decades of rock-n-roll. "Mount Pleasant Winery's Wine 101 Class" in Branson is an excellent way to enhance your appreciation for wine and those who make it! Learn to see, swirl, sniff, sip, and savor like the pros! "Music From Across the Tracks" is where Country meets R & B in the fabulous 50's, 60's, & 70's. With a shout out to Sonny & Cher, Dolly Parton, Kenny Rogers and saxophonist Jr Walker. NATHAN CARTER has become the singing sensation of the new century. This fresh-faced young man has now captivated audiences all over Ireland, The UK, and beyond since he burst onto the scene. The "National Tiger Sanctuary" is a Branson area attraction that's very unique and entertaining, as well as lovingly maintained and protected. It's the area's only facility big enough to shelter and care for large, exotic animals in a natural habitat. "Neal McCoy" graces the Branson stage for a limited engagement! Twice recognized by the TNN/Music City News Country Awards as Entertainer of the Year, he's released five number one hit singles, including No Doubt About It, The Shake, and Wink. "New Jersey Nights" presents the amazing harmonies and timeless music of Frankie Valli & The Four Seasons, right here in Branson, Missouri! You'll be thrilled to hear favorites like Sherry, Rag Doll, Can't Take My Eyes Off You, and Big Girls Don't Cry. "New South Gospel" in Branson is southern gospel music that's as good as it gets! You'll be treated to everything you love...inspiring hymns, touching lyrics, and upbeat numbers that get you movin'! Hear your favorites from long ago through today. Returning for one season only, this landmark production takes you on board one of the world's best-known voyages, as live animals fill the stage and aisles. Set sail inside the enormous ark as this extraordinary Bible story comes to life all around you! A million watts of lights, sixty-thousand watts of sound, twenty-thousand square feet of stage, and four-story tall set pieces towering right in front of you. Welcome to your exclusive backstage access to everything that happens "Behind the Scenes". The "Oak Ridge Boys" return to Branson, bringing their huge catalog of hit country, pop, and gospel songs! Hits include Elvira; Bobbie Sue; Touch a Hand, Make a Friend; Make My Life with You; American Made; (I'm Settin') Fancy Free; and Little Things. "Oh Happy Day: Goin' Back to Gospel" will take you back to the great gospel songs that you grew up with featuring songs from Gaither Vocal Band, Andre Crouch and more. You don't want to miss this fantastic new morning show. Enjoy an evening with talented folks who love making the audience an extension of the show. Combining great music with wholesome comedy, "Ozarks Country" is undeniably fun! "Ozarks Gospel" combines great music with good clean laughter and family fun! Before the curtain closes, you'll find yourself singing along with this wonderful group as they lift spirits through song. "Parakeet Pete's" Steampunk Balloon and Waterfront Zipline is the place for sky high entertainment in downtown Branson and spectacular Ozarks scenery! This show is walk through the amazing career of Jimmy Buffett. Jimmy Buffett has a career lasting over 4 decades, You will hear all the great songs you know and love. The Best of Branson's Hottest Ticket. ALL-NEW with new hits, comedy and fun! Pierce Arrow: Gold is a family friendly show that features clean comedy and a variety of music including: popular country, classic rock, Gospel favorites and patriotic melodies. Branson's "Presleys' Country Jubilee" have kept audiences delightfully entertained for 50 years! This legendary and talented family dazzles visitors with current and classic country, gospel, and the hilarious high jinks of Herkimer and Cecil! "Raiding the Country Vault" brings together musicians from country music's most iconic acts to play the biggest hits of America's most beloved genre, featuring country music's most renowned favorites. Reza Edge of Illusion delivers the enchantment of magic to Branson. Book with Branson Tourism Center to receive exclusive discounts on tickets for Branson shows. "Samson" battles the Philistines - and his own personal calling - he soon falls prey to temptation, losing his strength and sight. But has he lost hope? Discover how God transforms this unwilling hero to accomplish His work. The "Sanders Family Christmas" gives Branson one of its best holiday offerings! The Sanders clan is looking forward to having you as a guest at their church's annual Christmas celebration! Don't disappoint them; get packed and get to Branson! The "Shepherd of the Hills Historic Homestead Tour" sets the stage for the outdoor drama, giving you get a behind-the-scenes glimpse into this legendary production, including a visit to the massive stage, Inspiration Point, and Jennings' Still. Adventure awaits families or solo-explorers on The Shepherd of the Hills' all-new Ropes Course. This outdoor structure stands tall next to the iconic Inspiration Tower and boasts the same incredible views coupled with an exciting ascent. Branson's "Vigilante Extreme ZipRider" stands apart, and quite a bit taller, from all the other ziplines! A popular thrill attraction in many destinations, including Branson. Enjoy the beauty of the Ozark terrain as you soar from tree to tree on the all-new Zipline Canopy Tour at The Shepherd of the Hills. Guests will experience breathtaking views and thrills as they zip their way across the horizon. "Shepherd Inspiration Tower" towers above all the amazing sights, scenery, glitz and glamour of America's entertainment capital...Branson, Missouri! At 230 feet tall, it provides the most astonishing view of the countryside found anywhere in Branson! "The Shepherd of the Hills Outdoor Play" shares the story of Harold Bell Wright's famed novel of life in the Ozarks' hills of Branson! Witness more than 90 performers, a cast of animals, action, drama, and a timeless love story in one epic tale! Shepherd of the Hills ATV Adventures has two different adventures to choose from. For the "get your feet wet types" you can start off with a 1 hour excursion learning how to operate the ATV/UTV's on pavement before heading off-road into backwoods. There's a reason that when people think of Branson, they think of The Shoji Tabuchi Show! From Osaka to Nashville to Branson, Shoji Tabuchi's inspiration story is the stuff dreams are made of! Acclaimed as one of the greatest entertainers in the world. "Showboat Branson Belle" invites you to come aboard for a sensational lake cruise, with excellent entertainment and a superb three-course meal. The show is phenomenal, and there's a variety of seasons and times from which to choose. Coming to a swamp in Branson… The Welk Resort Branson proudly presents everyone's favorite ogre! Shrek: The Musical production based on the award-winning Broadway show and movie. "Silver Dollar City"...when it comes to phenomenal, world-class theme parks, it doesn't get any better than Branson's biggest attraction! Discover rides, music, crafts, food, shopping, amusements, festivals, and the wonderful Fireman's Landing! Sinatra & Friends! This glamorous all singing, all dancing production takes you on a breathtaking musical journey through all of Sinatra's greatest songs, together with the number one hits of leading recording artists of the Sinatra era. "The award-winning show, SIXÃƒâ€šÃ‚Â®, continues to amaze audiences with their ability to consistently deliver powerhouse vocals, impeccable harmonies, and high-end professional production unparalleled in Branson. "Smoke on the Mountain" is a Branson breath of fresh mountain air! It's a drama, comedy, and good gospel music theater production, with more than 30 classic gospel tunes, a bit of contagious laughter, and even a few touching moments. Allowing up to six tubes to run down the slope simultaneously, the 400 feet by 60 feet SnowflexÂ® tubing slope has been designed to give maximum thrills to people of all ages, all in the beautiful setting of the Ozark Mountains in Branson, Missouri. "Statler Brothers Revisited" brings back all those great songs, including Elizabeth and Flowers On The Wall. Come to Branson for music that lifts your spirits and brings back fond memories, courtesy of an amazing quartet of Branson singers! With 31 - #1 hits to his name, T.G. Sheppard is guaranteed to fill the night with many of the most popular songs in Country Music history. Don't miss out on your chance to see "The Bellamy Brothers" in Branson, and Let Your Love Flow! The Blackwoods are known throughout gospel music circles for their pure family harmony, excellent musicianship, and first class entertainment. With an 80 year track record of hits, the Blackwoods bring a lot of energy to the room. The Branson Ballknocker is a 12 foot tall, round, clear ball with a 6 foot inner chamber where either one, two, or three people may ride. You get the sensation of rolling down the hill in the big tractor tire that we all did when we were kids. From your seat 150 feet in the air, witness the beauty of the Ozarks on "The Branson Ferris Wheel," what was once Chicago's iconic Navy Pier Ferris Wheel. This is the OFFICIAL worldwide recognized group, and they are making their first ever appearance in Branson. Performing hits "Only You,"" The Great Pretender," "My Prayer," "You've Got The Magic Touch," and more! "The Sons of Britches" show is a creative Branson mix of zydeco, country, rhythm & blues, Cajun, bluegrass, and rock n' roll. Melvin, Side Dish, Squirrel Dog, and Plum Puddin' serve up a combo of music and fun that'll have you laughin' and singin' along! Groove with the smooth moves and soulful harmonies of "The Temptations Motown Legends." Branson's newest tribute to one of Motown's greatest artists of all time is the place to be for great Motown hits and includes other great legends like The Four Tops. "The Texas Tenors," the extremely talented and exceptionally charming trio of handsome troubadours, sing a variety of songs; they're a Branson favorite! Their "Deep in the Heart of Christmas" show gives you the feeling of a traditional family Christmas. At "The Track Family Fun Parks" in Branson, you just have to try the new Laser Maze Challenge and Route 76 Glow Golf! And don't forget the go-karts, arcade games, Skycoaster, kiddie rides, laser tag, bumper rides...wow! And there's even more! The "Titanic Museum Attraction" is not simply a museum; it's an interactive attraction, telling the stories of those who made the famous voyage; a trip that has fascinated the world for more than a century. Up Close Concerts welcomes to Branson for the first time Tommy James & The Shondells. This show is going to be loaded with all of their incredible hits including "Mony Mony," "Hanky Panky," "I Think We're Alone Now," and "Crystal Blue Persuasion." Lynyrd Skynyrd, ZZ Top, Molly Hatchet, Allman Brothers, 38 Special, Grand Funk, and Doobie Brothers are among some of the patriarchs of "Southern Rock" music. Vicki Lawrence keeps you laughing for the first half of the show with her stand up comedy, then for the second half you will be entertained by "Mama" like you have never been entertained before. "VIP Tours of Branson" provides upscale guided sightseeing tours of Branson, MO and the surrounding area. Get ready to feel like a VIP with "VIP Tours of Branson." "Waylon, Willie, & The Good Ol' Boys" is the perfect Branson show when you're itching to cut loose! Let some classic rock & roll, rock-a-billy, and honky tonk start your morning with a bang! Hear the best of Garth Brooks, Carl Perkins, and many more! Branson's "White Water" is loaded with water-logged laughter at every turn! Rides, slides, and landlubbers' high tides can be found in a variety of exotic, island-themed areas in this 13-acre, 2 million gallons of water, wet wonderland. The "World's largest Toy Museum Complex" includes over 1 million toys from the 1800's to present, an Ozark literary treasure and checker fun in five museums, with over 26,000 sq. ft. Welcome to our 3,500 foot state-of-the-art concrete raceway… the longest high speed racing kart track in North America! Yakov - Famous Russian Comedian! "Yakov - Famous Russian Comedian" is the funniest way to begin your day in Branson! Yakov Smirnoff uses his impeccable skills of observation, patriotism, and quick sense of humor to give you a morning show unlike any other!